House Clearance Service In All Areas Ardsley Robin Hood Morley North Morley South Stanley Outwood East Wrenthorpe Outwood West. 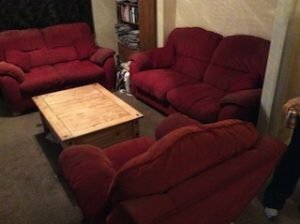 My grandmothers house needs emptied – there are personal effects & bric a brac – just furniture. Approx 2 dbl beds, 1 single bed, 2 sideboards, cooker, kitchen table & chairs, dressing table, 3 bedside units, 2 wardrobes & other items to be cleared. Can you give me a price. Many thanks. A vintage button backed nursery chair, upholstered in olive green velour with tassel fringing. 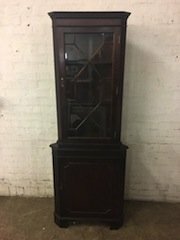 A tall standing solid oak corner display unit, having a glass inlaid door opening to reveal two shelves, above a cupboard. A three piece sofa suite, comprising a three seater, a two seater and an armchair, each upholstered in red fabric. A white two door Bosch fridge freezer. 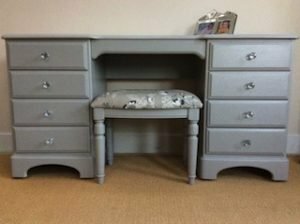 A hand painted grey solid pine vanity dresser, having four drawers to either side with crystal knobs, together with a matching stool, upholstered to the seat in grey floral patterned fabric. 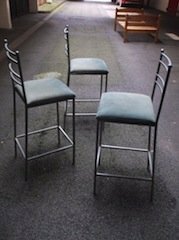 A set of three black metal ladder back bar stools, each upholstered to the seat in grey fabric. 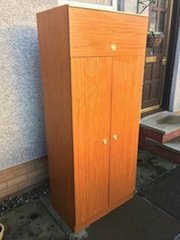 A tall standing solid wood double wardrobe, having a storage area to the top. 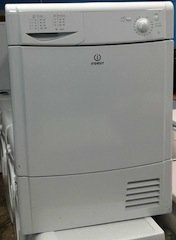 A white Bosch Classix 6 1200 spin under counter washing machine. 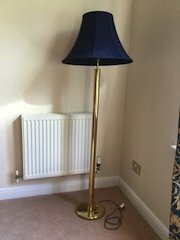 A vintage brass standard lamp, with a large navy blue fabric shade. 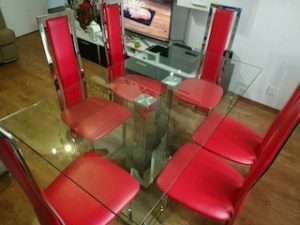 A large rectangular glass topped chrome dining table, together with six high back chrome dining chairs, upholstered to the seats and backrests in red faux leather. 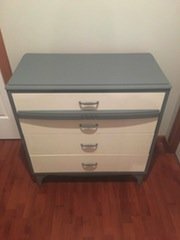 A hand painted cream and grey solid wood chest of four drawers. A brand new boxed black and blue Vax Action 602 pet upright vacuum cleaner. 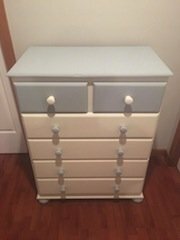 A hand painted cream and pale blue solid wood chest of drawers on ball feet, having two small over four large drawers. 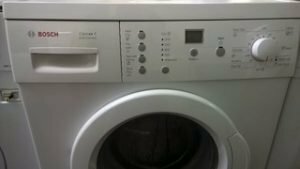 A white Indesit R351 7kg under counter condenser tumble dryer. 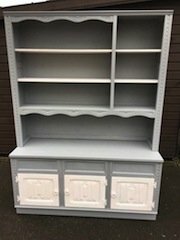 A tall standing hand painted cream and grey Welsh dresser, having three large aside three small shelves above three cupboards. 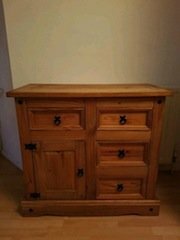 A Corona Mexican pine television unit, having four drawers and a single cupboard, with iron mounts.